Tree-lined streets, pedestrian-friendly sidewalks and a 5,500 sf recreation center with resort style pool an kiddie pool, shaded ramadas, parks, gathering areas, pickelball courts and basketball. Close to I-10, 101 and 303. Walking distance to restaurants, movies, entertainment and shopping. Tiled walk in shower at master bath, Gas stub for future BBQ, Second walk-in closet at master bedroom, Pavers at covered porch, driveway, and walkway, Stainless steel whirlpool gas appliances, White and silver gray full overlay shaker style cabinets, Silestone countertops at kitchen, White tile backsplash at kitchen, 8′ Interior doors with upgraded hardware, Upgraded light and plumbing fixtures throughout, 8×36 faux wood ceramic tile throughout, Upgraded carpet and pad at stairs and bedrooms. Approximate size: 3600.00 sq. ft. Please, send me more information on this property: MLS# 5858928 – $338,990 – 2024 W Trotter Trail, Phoenix, AZ 85085. 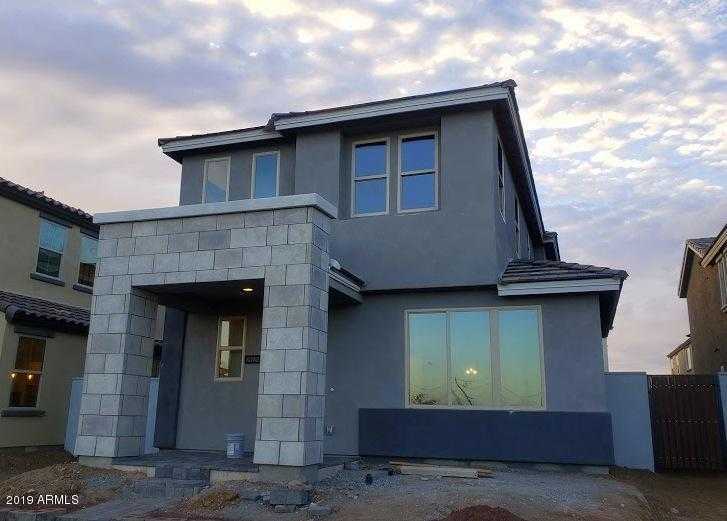 I would like to schedule a showing appointment for this property: MLS# 5858928 – $338,990 – 2024 W Trotter Trail, Phoenix, AZ 85085.